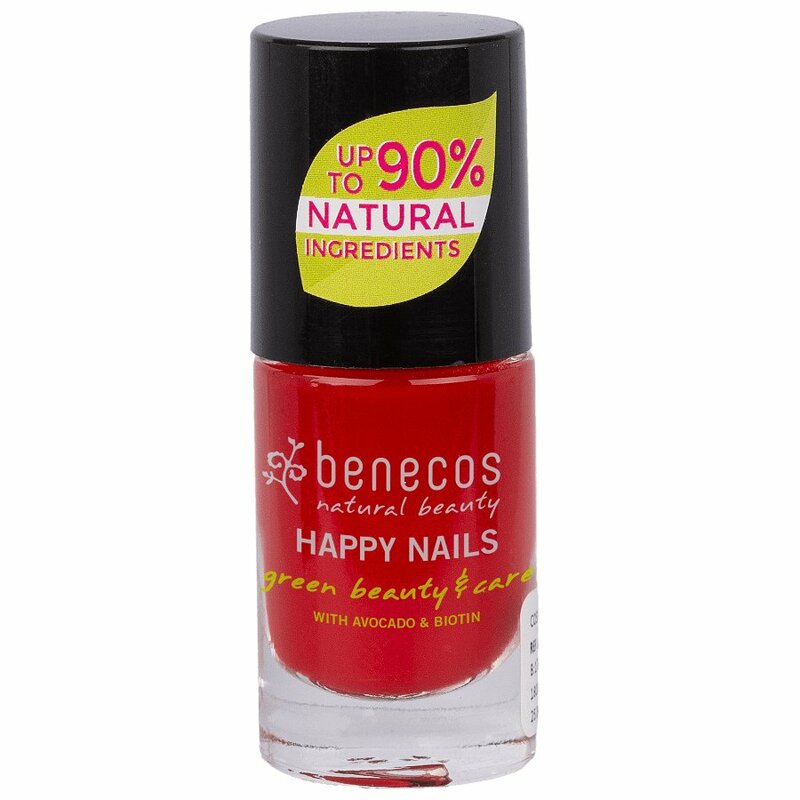 Benecos Certified Organic nail varnish in vintage Red is a stunning classic shade of red that will look striking and elegant on both short and long nails. Vegan friendly and free from formaldehyde, phthalates, toluene, camphor, and colophony, this natural nail varnish will introduce a burst of colour to your nails. To use, wipe your nails clean with Benecos Nail Polish Remover and apply nail polish Crystal as a base coat to avoid discolouration of your nails. Once dry, apply your 1st coat of Vintage Red nail varnish, wait for 5 minutes and then apply your 2nd coat. Once the 2nd coat is completely dry, the Crystal clear top coat can be applied to finish off the look. Benecos do not test on animals. There are currently no questions to display about Benecos Nail Polish - Vintage Red - 5ml.